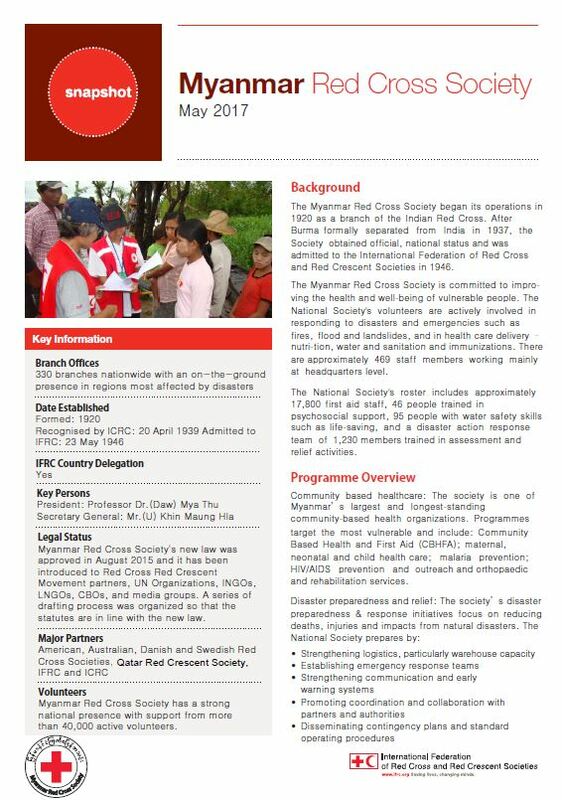 Myanmar Red Cross Society began its operations in 1920 as a branch of the Indian Red Cross. 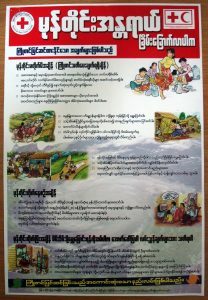 After Burma formally separated from India in 1937, the Society obtained official, national status and was admitted to the International Federation of Red Cross and Red Crescent Societies in 1946. 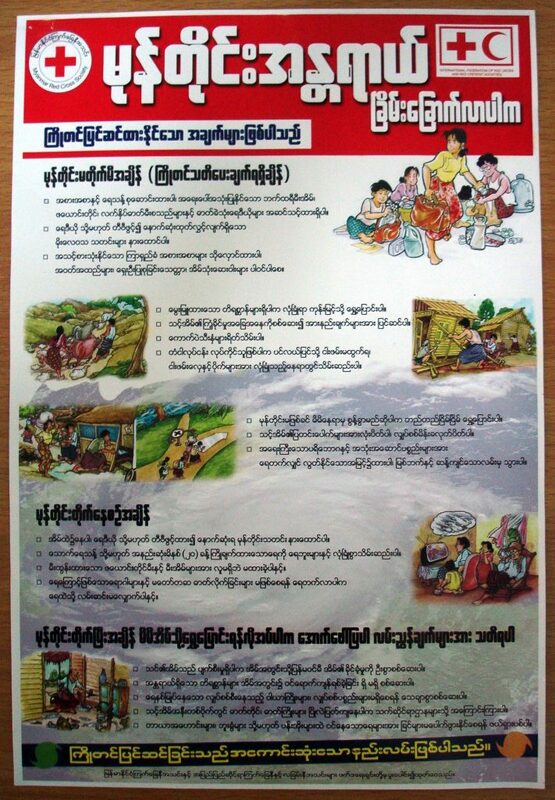 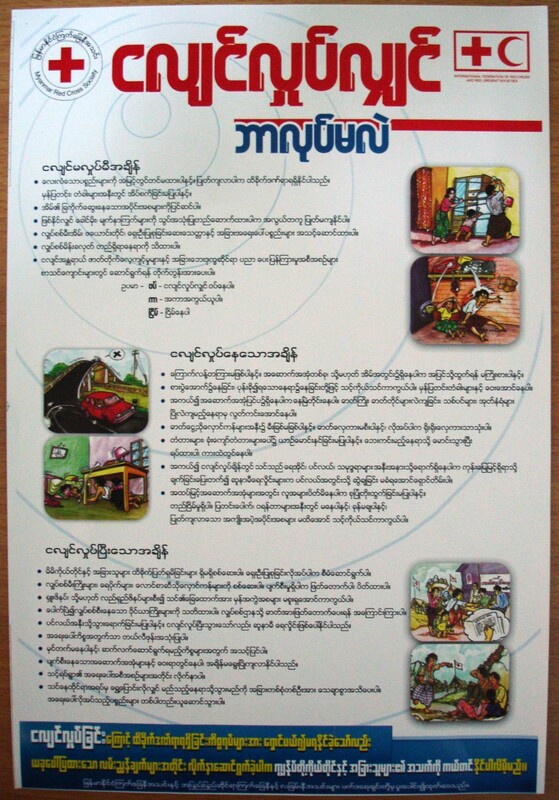 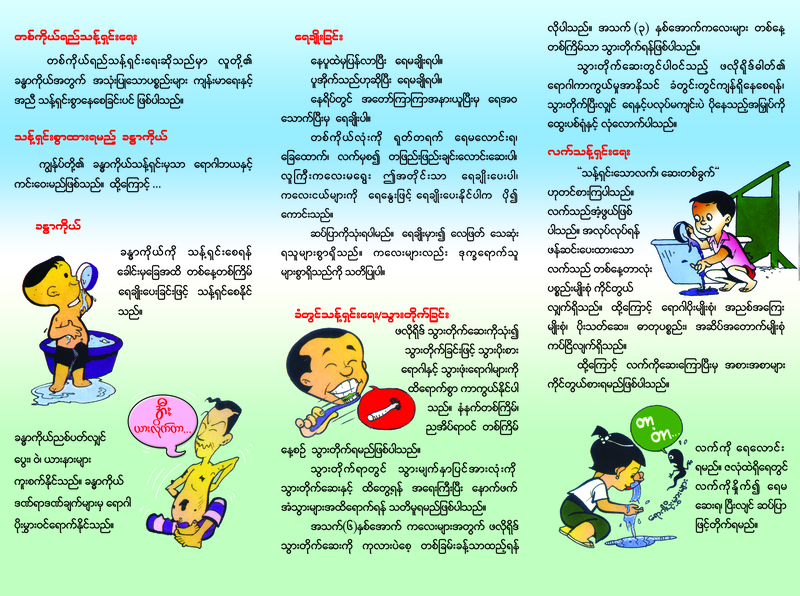 The Myanmar Red Cross Society is committed to improving the health and well-being of vulnerable people. 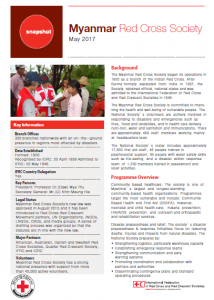 The National Society’s volunteers are actively involved in responding to disasters and emergencies such as fires, flood and landslides, and in health care delivery – nutrition, water and sanitation and immunizations. 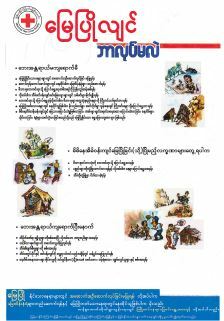 There are approximately 469 staff members working mainly at headquarters level. 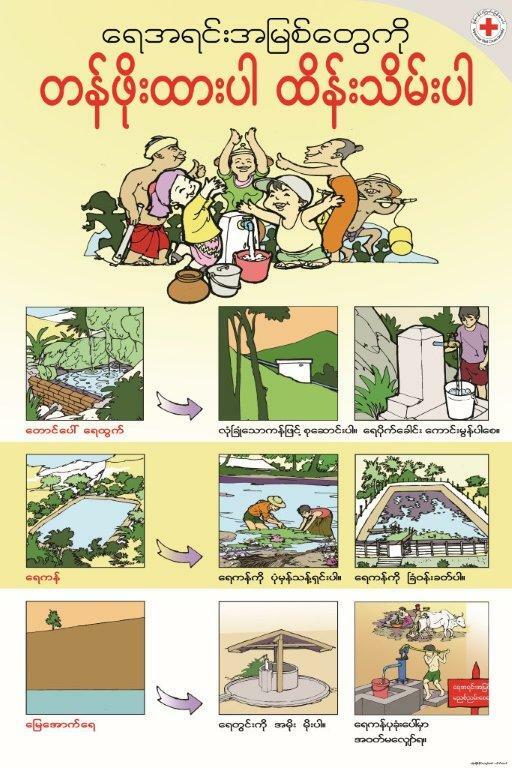 The National Society’s roster includes approximately 17,800 first aid staff, 46 people trained in psychosocial support, 95 people with water safety skills such as life-saving, and a disaster action response team of 1,230 members trained in assessment and relief activities. 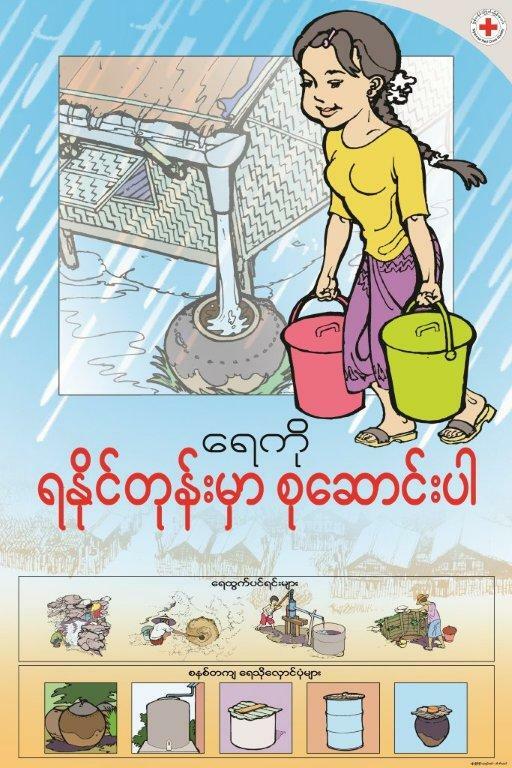 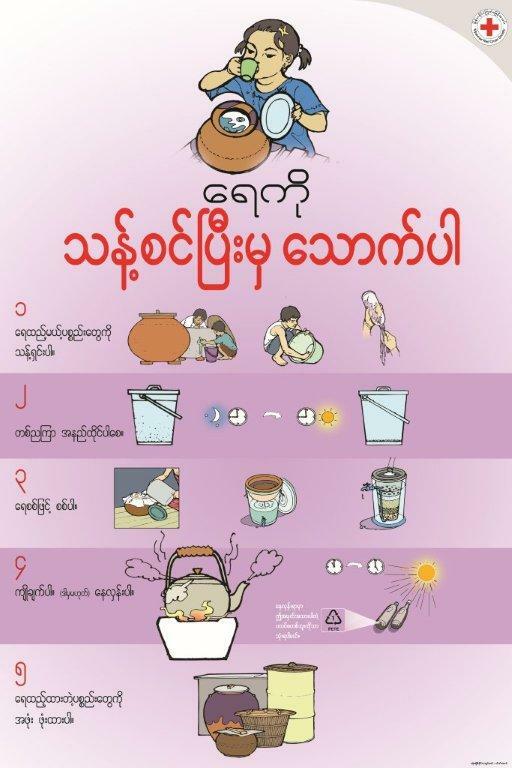 Legal Status: Myanmar Red Cross Society’s new law was approved in August 2015 and it has been introduced to Red Cross Red Crescent Movement partners, UN Organizations, INGOs, LNGOs, CBOs, and media groups. 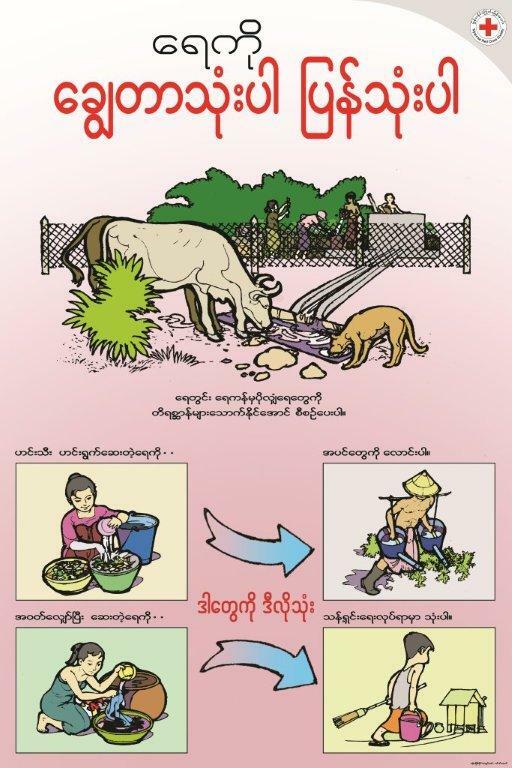 A series of drafting process was organized so that the statutes are in line with the new law. 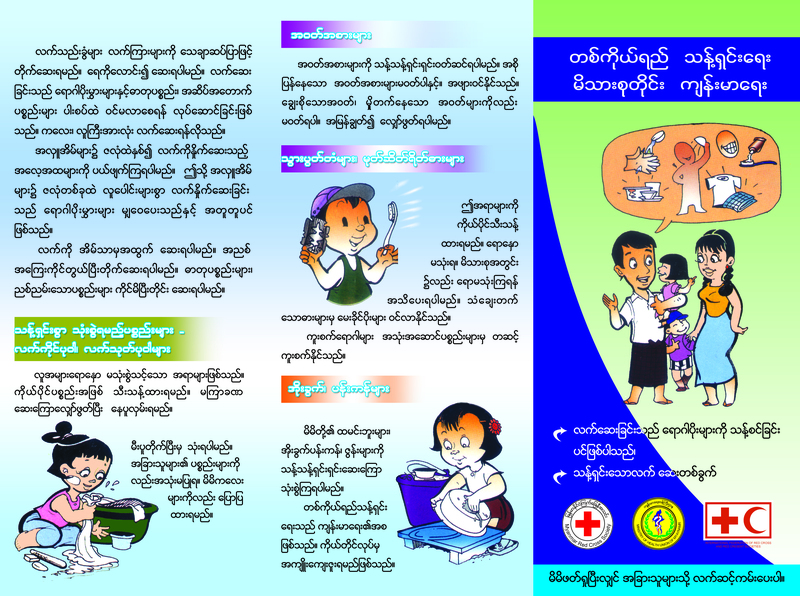 Volunteers: Myanmar Red Cross Society has a strong national presence with support from more than 40,000 active volunteers.